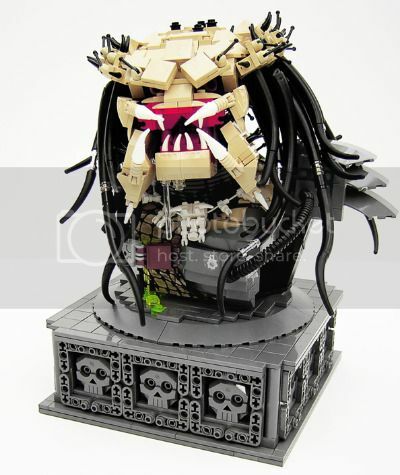 A Lego Predator bust by misterzumbi on Brickshelf. It’s a shame that teachers, sanitation workers, and master Lego builders aren’t held with higher esteem in this country. Via filmcritic.com, who is doing his part to improve the reputation of master Lego builders using nothing but a Sharpie and bathroom walls.